Since childhood, Rita has had a recurring dream of finding a treasure chest filled with jewelry (Precious gems, rubies, diamonds, emeralds and gold – all for her; no Pirates allowed!) She always enjoyed purchasing jewelry so about 10 years ago she decided to try to make some for herself. She learned beading techniques and then studied silver smithing for several years. 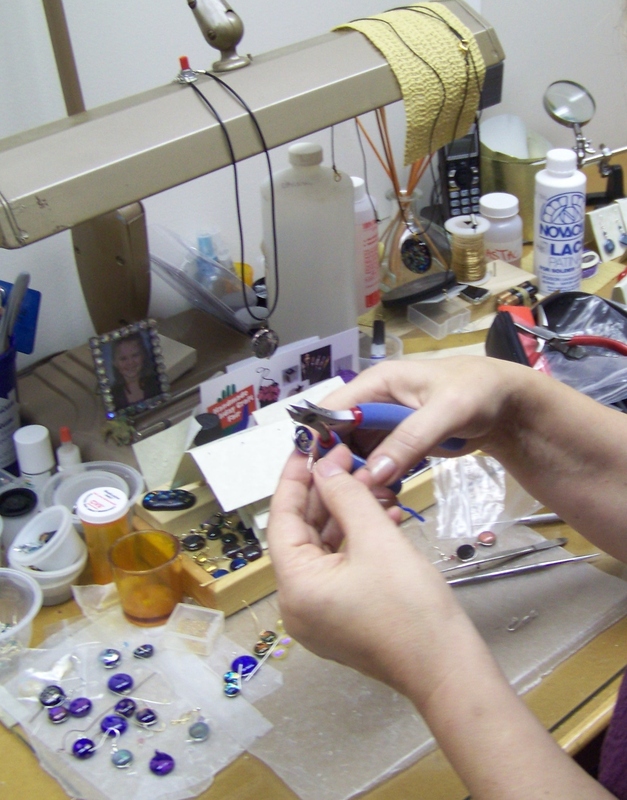 It wasn’t until she took a class on PMC (precious metal clay) that her true passion for Jewelry making emerged. Precious metal clay is a material that contains ground silver, gold or bronze that is combined with inert materials to form clay. This clay can then be molded, shaped, designed and then fired in a kiln. The firing process burns off the inert material and what remains is the pure silver, gold or bronze. The design possibilities are endless and the precious metal can be combined with stones or other decorative elements during the firing process. Rita also works with polymer clay. This medium brings you back to your childhood when you had those bins of Play Doh and formed various animals (usually monsters). She no longer creates monsters of any kind – although they would be fun. 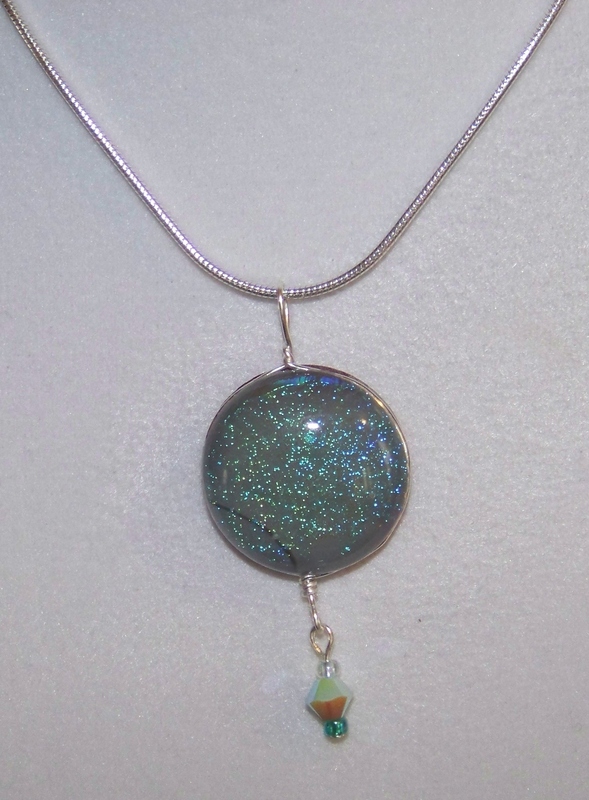 She makes earrings and pendants using bright, vibrant, fun colors. 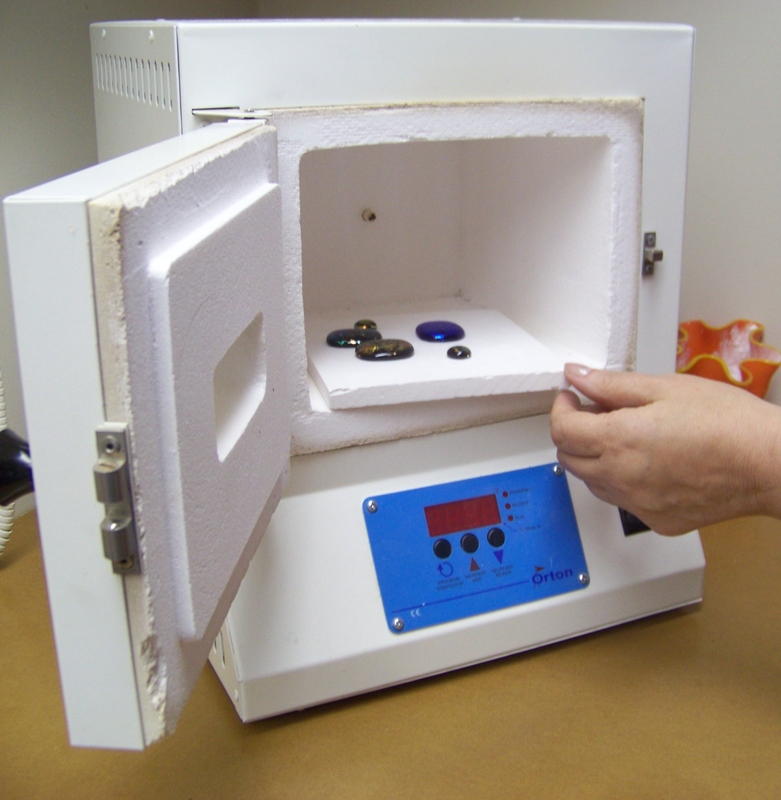 This clay is baked in a standard oven to achieve its’ hard, durable surface. 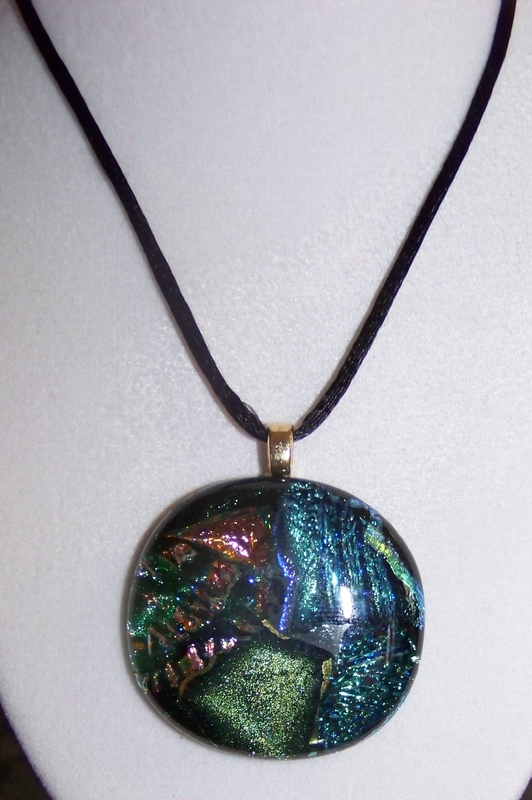 For the past two years, Rita has been focusing on Dichroic glass. This medium always fascinated her but she was hesitant to take the plunge. Once she did, there was no turning back. The colors, designs and shapes are “all so fascinating”, and she loves adding new designs to her portfolio. She spends countless hours in her studio (FYI Rita is looking to move to Kisco and she has picked yours truly and the Fab staff at Cafe Realty to find her the ‘perfect’ home) experimenting in order to enhance her creations. I am lucky to own a few pieces of Rita’s Dichroic Glass collection. I get compliments every time I wear them. In fact I just happen to be wearing them when I had the pleasure of meeting the Secretary Of State, Hillary Clinton. She commented on them stating that they were ‘beautiful’ and that she had never seen anything like them before (Hint to Rita perhaps you should send a set Hillary’s way :). You can see some of Rita’s creations at beehive co-op in Kisco (It is a Co-operative boutique featuring handmade items located at 337 Main St.) or e-mail me for some hi-res pictures. Now a few lucky readers will have the chance to own a pair of Rita’s Dichroic Glass earrings. All you have to do is leave a comment on my blog and ‘LIKE’ my Best of Kisco FB page to enter this giveaway. Kisco Summer Sunday just gets better and better! Visit Beehive Co-op between 2-5pm this Sunday, and get 15% off storewide and 20% off one item of your choice! Seriously! !